Whether you work full time as a consultant or do some consulting work on the side for extra money, you need to give your clients a convenient way to pay their bills. Different clients have different needs, so providing a variety of different payment options can increase your odds of having a successful and long-lasting consulting business. Set up your consulting firm as a separate business. Using a formal business structure for your consulting payments can have a number of advantages, including more favorable tax rates, tax deductions and lower overall costs. Open a separate bank account for your consulting business. Do this whether or not you choose to incorporate your business or set it up as a formal entity. Sign up for a Paypal account if you do not already have one. Paypal provides an easy way for individuals and smaller firms to pay you using a bank account or credit card. All you need to receive Paypal payments is your email address. 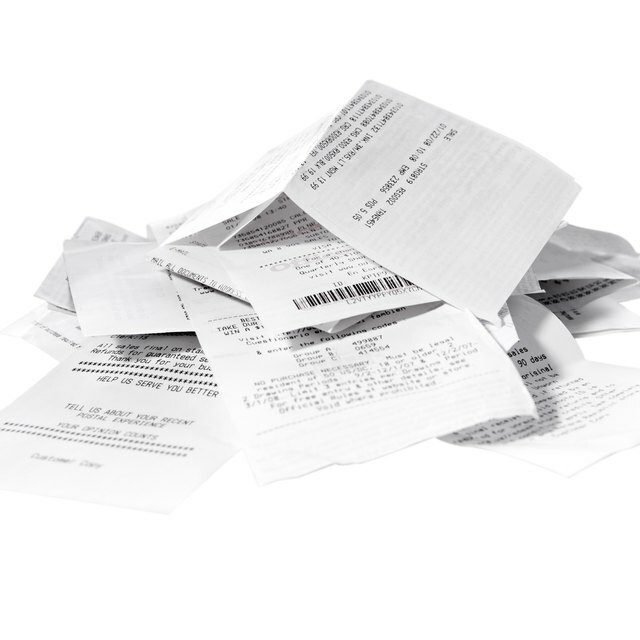 Do Credit Card Statements Work for Receipts for the IRS? Give your clients your full payment information if you have set up a separate business for your consulting work. This information should include your doing business as (DBA) name and employer identification number (EIN). Ask clients who prefer to pay by check to make those checks payable to your company name if you have a separate business structure. Otherwise you can have those checks made payable to you. Just be sure to deposit those payments to the separate bank account you established for your consulting work. Track your earnings carefully so you can report the proper amount of consulting income when you file your tax return. If you perform $600 or more worth of services for a client during the year you should receive a 1099-MISC form from that client. Contact the client if you have not received the form by the end of February.